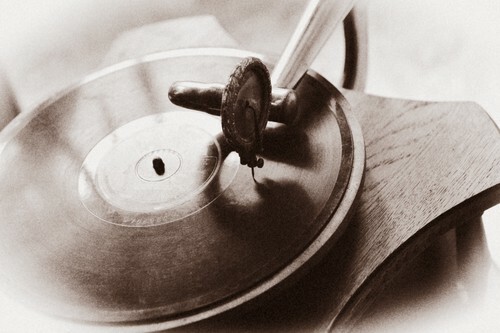 If it had not been for Thomas Edison and him inventing the phonograph in 1877 DJing might not have existed. Edison set the way for the turntables of today. Emile Berliner also paved the way for the DJs of today. He was the first to produce commercial records for selling to members of the public, in doing so playing a huge role in what would eventually become a multi-million dollar industry. These two people have to be credited as being the start of the history of Djing, as without them the equipment used by the DJs who were among the first in the field would not have been available. It was not until 1943 that DJs on the radio became famous in their own right, moving away from playing music controlled by the radio station onto playing their own choice of music. DJs began to move outside of the world of the radio stations during the 1950s. The first “DJ” spots occurred at platter parties and sock hops. DJs in Jamaica would host street parties playing tunes on their turntables, while people danced in the streets. One of the first discos with a resident DJ was the Whiskey a Go-Go in France. Discoes went on to become popular with more popping up in Europe and the U.S.A. Around this time the equipment also began to improve with controllers and mixers coming onto the scene. During the 70s New York set the pace for discos. One of the first true club DJs was DJ Kool Herc aka the father of hip-hop. He is credited with the technique “breaking”, the mixing of two records which are the same, together. This is when turntabling started becoming big with artists of that time creating songs with different beats combined. The popular turntable technique known as, scratching, occurred by accident by DJ Grand Wizard in 1975 and this was the start of a totally new technique in the industry with DJs intentionally moving the needle back and forth to produce a scratch sound. House music and techno came alive during the 80s and 90s in America with one of the first music festivals; The Winter Music Conference. This is a week-long event which sees DJs the world over taking part. DJs have gone from strength to strength, along with the equipment they work with, including the very latest controllers, mixers and turntables. Today many professional DJs command high royalties, making millions throughout their careers thanks to the inventions of the likes of Edison and Berliner.